Possessors of two of the sharpest wits in Irish music, each of this pair of like-minded souls has created an outstanding album, and, in Ó Raghallaigh’s case, a near masterpiece. 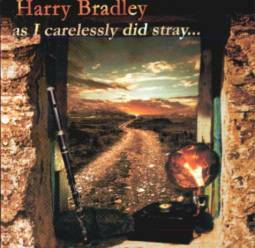 Harry Bradley is one of the latest in the seemingly endless stream of fine flute players to have emerged from Belfast and this, his second album, continues to develop the promise shown by its predecessor, Bad Turns & Horse-Shoe Bends. There can be few warmer sounds than the tone of his flute on Jim Coleman’s hornpipe nor much more exhilarating when he over-dubs whistle to flute and brings in a hard shoe step-dancer for the reel Johnny Henry’s. Ornamentation is always easy on the ear while the backing musicians opt for a minimalist clarity to produce a glorious, utterly satisfying selection. Like Harry, concertina player Micheál Ó Raghallaigh is in the vanguard of Ireland’s younger breed of traditional musicians and probably best known for his work with the band Providence. However, even those familiar with the unsullied grace and danger of his playing with the band could not have anticipated that he would have produced an album fit to be admitted to the pantheon of great Irish recordings. 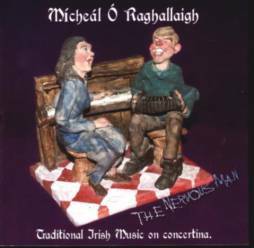 For such is The Nervous Man, an absolute cracker-barrelful of music, recorded without any over-dubs in the company of harper Michael Rooney, ex-Déanta guitarist Eoghan O’Brien and bodhrán player Frank McGann. Ó Raghallaigh’s playing oozes with understanding of the tradition, driven by innate rhythmicity, but sparkling with his own sheer enjoyment and humour. The opening track, a set of jigs kicked off by Quilty Shore, just brings a smile to the listener’s face appreciating the effortless ease of the concertina sailing through the tune. Elsewhere there are reels to rattle the windows (George White’s Favourite is a particular corker), a sprightly bunch of hornpipes, but, perhaps, best of all, an unimaginably lonesome rendition of An Buachaill Caol Dubh. Garnished by droll, but informative liner notes, this is an unequivocally essential album. These reviews by Geoff Wallis first appeared in fRoots magazine – www.frootsmag.com. Phateon’s recordings are available from Claddagh Records – www.claddaghrecords.com.